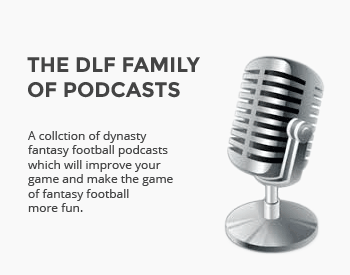 The DLF staff got together for a seven-round, combined offensive players and IDPs rookie mock draft. We break down the incoming safeties to see which positions they will best fit in the pros. We interview defensive back Justin Wyatt on his NFL potential. We offer up a defense-only 2019 NFL Mock draft. How will these players fare as IDPs? What Can We Expect from Rookie Linebackers in IDP Leagues? Will this year's linebacker class live up to 2018? We look at whether you should be targeting or avoiding these defenders. We run down the top rookie IDP linebackers in this year's draft class. What can we expect from the top defensive linemen who joined new teams in free agency? Antonio Brown is an Oakland Raider! We break down what the trade means for your dynasty teams. We look back at tackling efficiency from the 2018 season. What does it tell us about certain IDPs moving forward? We finish up marking last season's IDP projections, today focusing on the AFC West. Which overperforming IDPs in 2018 could come crashing back down in 2019? How did Tom Kislingbury do in his 2018 IDP Projections for the AFC South? How accurately did we predict the IDP performances in the AFC East? Tom Kislingbury breaks it down.